Last week, my colleague from TGS, Ian presented a talk in the 38th Indonesian petroleum Association annual meeting. He talked about the structures and hydrocarbon prospectivity of Nias forearc basin, which is situated in the central part of the offshore Sumatra forearc area. 1868 km of newly acquired long offset 2D seismic, covers the area in between Nias and Sumatra mainland. Compare to the other offshore Sumatra forearc basins, the water depth in Nias basin is much shallower (~500m), than the other basins (up to ~1500m), reflecting much more carbonate platform growth and forearc sediment fill. The new data set show thick sediments with half-graben/syn-rift character beneath the Neogene sequences that interpreted as Paleogene. By using using the low geothermal gradients observed in wells in the area, the temperature in the bottom half of the Paleogene section is calculated to be sufficient to expel hydrocarbons from lacustrine or coaly sediments. 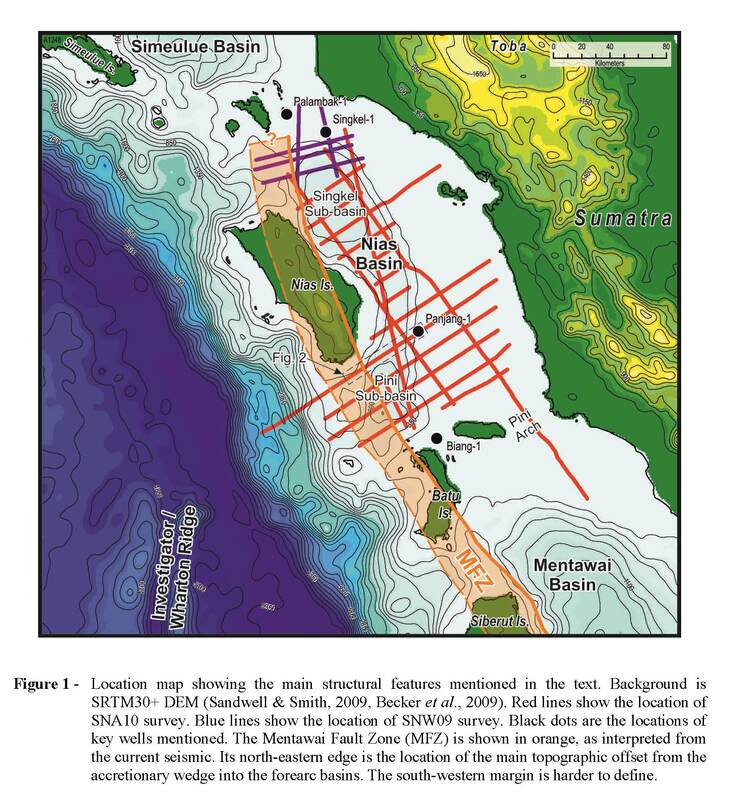 Tagged forearc basin, hydrocarbon prospectivity, Nias, Paleogene, seismic reflection, Structures, sumatra.